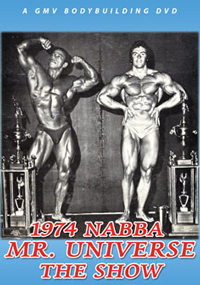 The 26th NABBA Universe contest was staged at the wonderful New Victoria Theatre situated in the heart of London, on Saturday, 21st September, 1974. 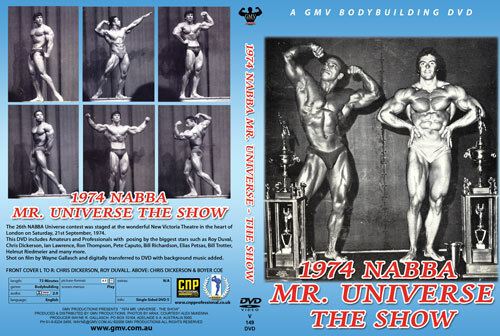 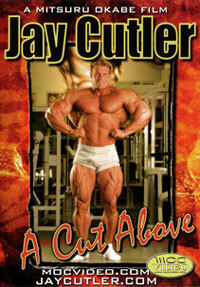 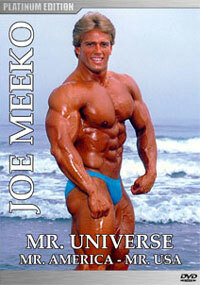 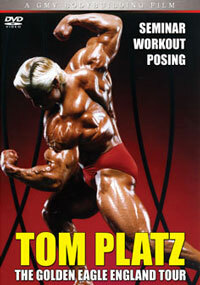 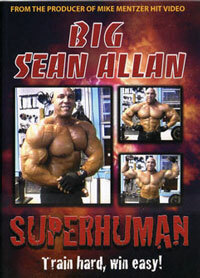 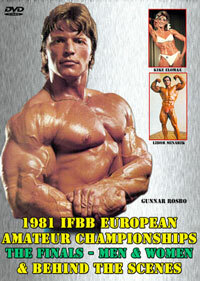 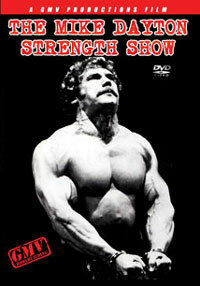 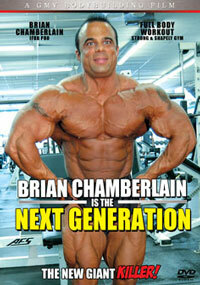 This DVD includes Amateurs and Professionals with posing by the biggest stars such as Roy Duval, Chris Dickerson, Ian Lawrence, Ron Thompson, Pete Caputo, Bill Richardson, Elias Petsas, Bill Trotter, Helmut Riedmeier and many more. 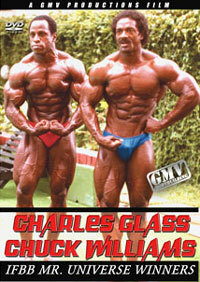 Overall winner Chris Dickerson (left) and Roy Duval are pictured front cover. 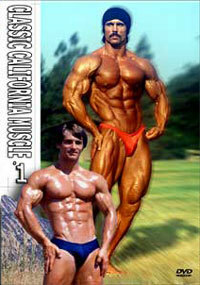 Rear cover photos highlight the battle between Chris Dickerson and Pro runner up Boyer Coe. 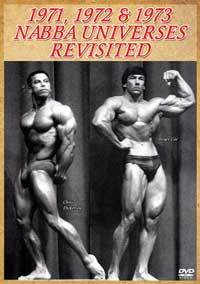 It was a very close thing with Chris coming out on top by the narrowest of margins. 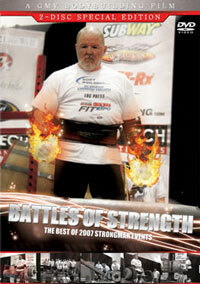 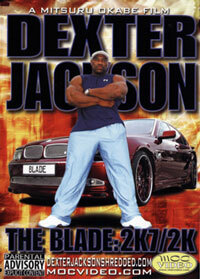 Shot on film by Wayne Gallasch and digitally transferred to DVD with background music added. 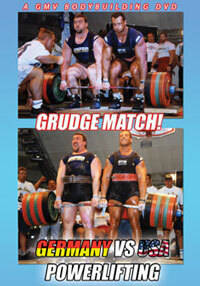 Photos by George Greenwood and Gregor Arax.